This lecture will examine the key opportunities for composers and musicologists in the perspectives opened by Xenakis in the five decades after Musique Formelles. Special emphasis is placed in role of heuristics and on the revolution in mathematics today. This presentation proposes perspectives in which the continuity of Stockhausen’s work and its systematic structure can be understood as exploring the same strata Michel Foucault identifies at the roots of western thought. Friedrich Kittler: music beyond musicology? The lecture introduces the writings of media analyst Kittler and argues that he provides an inescapable challenge to the history of music and to the means we use to think about it. 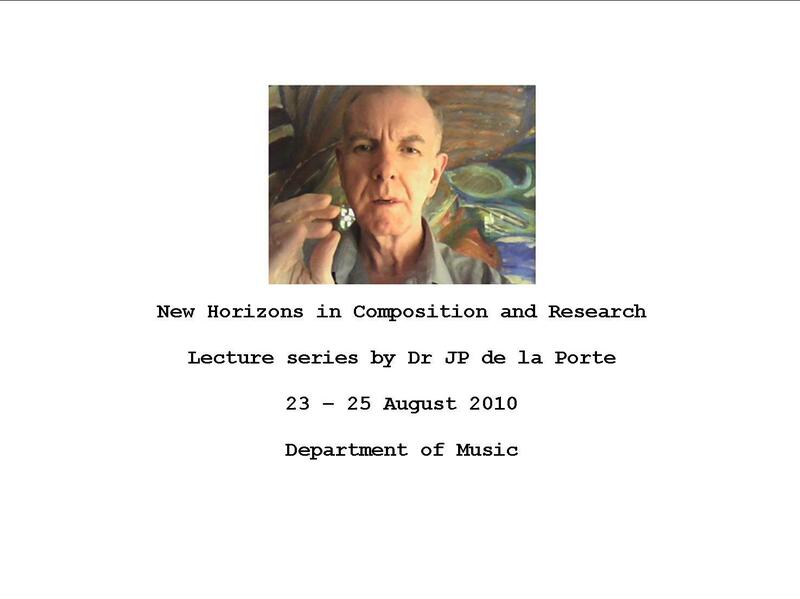 Dr Jean-Pierre de la Porte is research director of the Institute for Advanced Studies in Architecture and Infrastructure (IASAI/Deloitte).